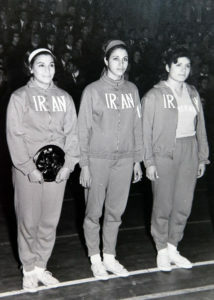 In A’zam’s Struggle, the second podcast of BarAyandegan, we hear the voice of A’zam Eskandar – a woman who has a significant place in the history of sports in Iran because of her trail-blazing activities that facilitated other women’s participation in sports, advanced women’s professional sports, and opened the cultural attitudes and social space for youth sports. She speaks of personal and professional challenges and struggles during the 1940s-1970s. As we get to know her, her life story and perspectives closely, Iran’s life in these decades also becomes tangible. In this Iran, A’zam’s generation, as they try to renew social relations and structures, are in constant struggle on the one hand with a dictatorial political system, and on the other with cultural and religious patriarchal traditions. In A’zam’s Iran, it is apparent that surface modernization was not necessarily based on democratic foundations, and women’s enfranchisement did not necessarily mean equal rights and elimination of misogynistic approaches. A’zam’s rebellious and self-reliant personality brings a special glow to her historical recollections. In this rare conversation with A’zam, we hear about aspects of her life that are rarely included in Iranian auto/biographies. Her voice and tone of speech demand that we let go of our pre-conceptions about “women’s speech,” and listen openly. What she narrates about life in the middle decades of the 20th century, may find echoes in the present time more than we expect. Listen to A’zam’s voice and stories. Her way of talking to me that was mindful of the effects of the situation on me rather than focusing on her own pain, made it possible for me too to handle the situation calmly. The manager took A’zam to a clinic in the nearby small town, and the rest of the servers tried to prepare everything for the course participants without any disruption in their meditation experience. By the time the servers sat for lunch, A’zam had returned from the clinic. The fracture in her wrist was more severe and complex than the clinic was able to treat. We waited for her daughter to come and take her to a hospital in their own city. A’zam sat with women servers for about a half hour as we had lunch. Without entering into details and quite nonchalantly, she said that in her past she had been the captain of national women’s basketball team in Iran and, therefore, was familiar with physical injury. 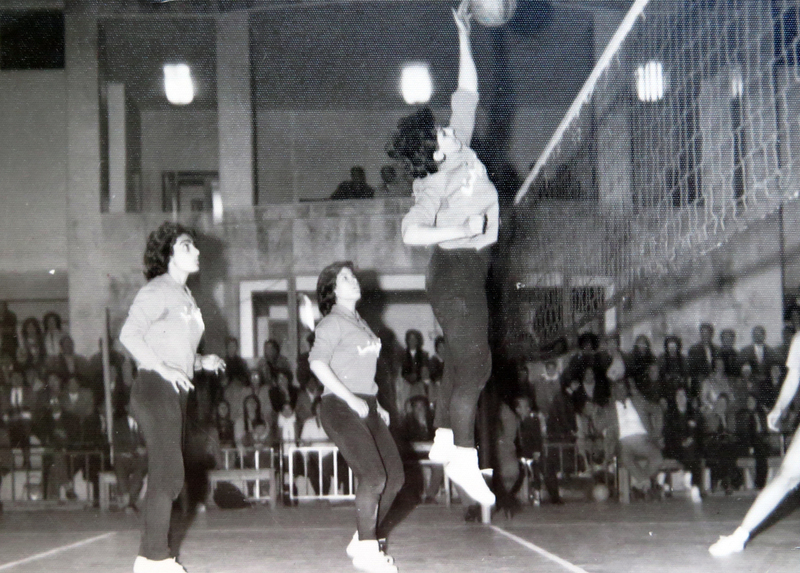 In this short conversation, I learned that she had a specific knowledge of the challenges for women in a patriarchal society, and her memory about the history of women’s sports in Iran is a treasure trove. Our time was limited and the space inappropriate for more on these topics. Soon her daughter arrived and we parted. 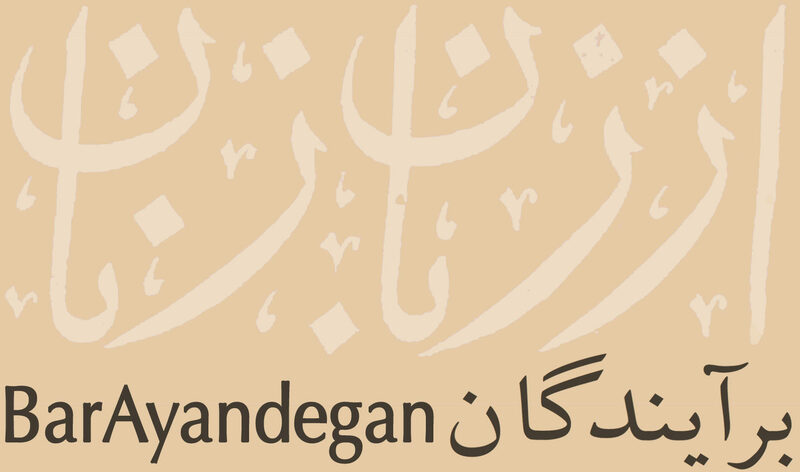 In winter 2018, when I started the production phase of Emergent, I contacted A’zam. Compared to other women I had approached, she was the least willing to participate and asked the most questions. She had four-fold concerns: 1) Returning to a difficult past may do more social harm than have benefits by causing negative mindset for the listeners; 2) talking about personal challenges and accomplishments may create the impression that the speaker is self-promoting rather than telling history; 3) alternatively, speaking of challenges may give rise to the impression that the speaker has a “victim” mindset; 4) anyway, so what and what’s it all good for. In early spring, I went to A’zam’s house with my sister who is of the same generation. Perhaps my sister’s presence bridged the gap between us. Eventually A’zam agreed to the conversation and allowed it to be recorded. In the months since then, as I have edited the conversation in layers, I have had many opportunities to talk with her on the phone. I know that her concerns remain. I know that I share them in my own way. But I also know that her particular narrative about her struggles in personal, social and professional spheres to be active as a woman with equal rights and opportunities for her specific talents and strengths, and also her brief account of her achievements are immensely valuable to me. 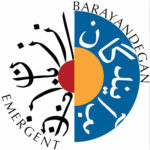 A’zam’s struggles in her fruitful life, and also with me during our work together on this podcast, proved to me the importance of BarAyandegan/Emergent as a project that aims to record the history in women’s voices and, also, to create the space for inter-generational dialogue. I am grateful to A’zam for trusting my ability to transmit her story. That day was the 26th of October, 1938. Father was a worker in the electric power plant in Tehran, and Mother was a housewife. With them, two brothers, seven and four years older than me, formed our family. I was four when Mother sewed a chador (full-length cover for women) made of floral design fabric, and began her continuous effort to teach her only daughter religiosity and limit her under the guise of “chastity and decency.” From early childhood, I learned to recite Qur’an and translate and interpret its verses. In elementary school, sometimes I would be assigned to teach Qur’an in other classes. Mother had promised that when she was granted a daughter, she would give alms on Tasu’a and Ashura (significant days of mourning in Shia religious calendar), and dress her in black. But I became an ungrateful child from a young age, and resisted her wishes and imposing plans, to the extent that I could, by asking “why.” I was five when they altered the date in my birth-certificate so they could register me in Nasrin elementary school earlier. I was eight when my third brother, and eleven when my last brother were born. In that same year, I graduated with perfect scores from elementary school and received honours and prizes for that. Until this time, Mother’s efforts to get me interested in and busy with sewing and other “feminine” occupations had not been very successful. On the contrary, I participated in all of the “boy sports” with my brothers and their friends, and often beat them in games: In stone throwing, running, soccer, alak-dolak, and ali-mige-zoo (Iranian children’s games), etc. When, as punishment, I had to stay in the house, I made a ball from rolling my brothers’ socks and played in the room. When the summer ended that year and all the neighbours were getting ready to register their children for the new school year, I asked Mother, “When will we go to register me in high school?” Mother’s response that day forced me to confront a reality that, until now at the age of eighty in this “developed” USA, I feel the glaring inequality between men and women with all of my being. In all these years, I have struggled for women’s rights and gender equality, and I will continue this struggle for as long as I live. In Iran, I was the first woman who, while married and raising a child, entered the professional sports arena in late 1950s, and broke the cultural and religious boundaries that dictated that women had to stay at home to protect the “honour” of the family. In this effort, my collaborator and cheer-leader was my husband who was also an athlete and my coach. My audacious and daring steps paved the way for other women athletes. Gradually, our numbers increased and women’s participation in professional sports became normal. After winning that game, I left that arena with pride. I have never left the arena of struggle, however.